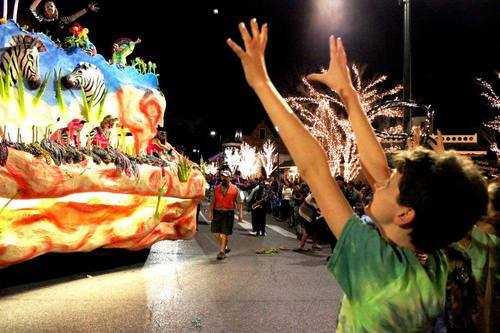 Enjoy the beautiful colorful floats, manned by masked riders in costumes. Lady Marshals will be on horseback. Lots of "throws" and treats for everyone. come and Enjoy!